Predicting outcomes can be invaluable in decision making, but what happens when our judgements are amiss? When you first think of predictions, what might spring to mind are mystics, psychics, the end of the world, or considering the past weeks: the weather! 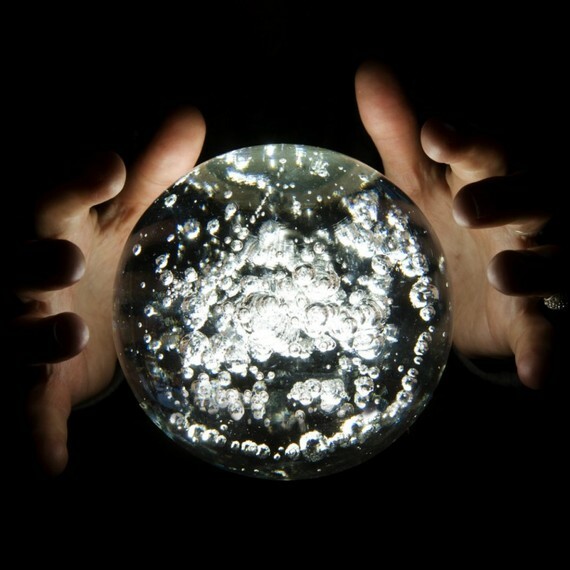 There are billions of predictions made every day. But how wild can predictions get? And how often, and how badly, can they go wrong? We, as humans, fear the future. And even though most daily occurrences have no rhyme or reason, we will continue to desperately try plan our day to give us a sense of security and feed our curiosity. Without fail, we will try and guess the next move in our universe’s uncharted path. Sometimes the predictions are an attempt to be practical, and sometimes they cause widespread panic. At times, there can be “predictions” that are just pure luck. For example, in 2006, the janitor in Scrubs predicted that Bin Laden would be hiding in Pakistan. Some predictions are unexplainable, while others are based on scientific fact. There is, of course, the question of coincidence. Maybe psychics, people yelling on street corners waving the Bible, just sometimes get lucky. Maybe, but with people like Craig Hamilton Parker, have they been right a few too many times to be coincidence? He managed to predict Trump’s election (while most guwaffed “He’ll never be elected!”), Brexit, and the eruption of Mount Vesuvius through his psychic abilities. In bizarre incidences, there are novels like Jules Verne’s From the Earth to the Moon, published in 1865, which predicted the Moon landing. Admittedly, he had done some scientific research, but what he got right is eerily striking. A crew of three left in a rocket in Florida, which was the same as the Apollo 11 flight. Furthermore, in the book, he describes the calculations the scientists were making, and they are incredibly alike the ones actually made. Sometimes predictions are seen as preemptive to further problems. One such case was in 1976, when it was predicted that there would be a massive outbreak of swine flu. It was suggested and approved by the then-President of the US that there be mass immunization. Not only did this swine flu outbreak never materialise, those administered with the dose in the US were recorded to be more likely to suffer from Guillain-Barré syndrome – an example of a prediction gone wrong with disastrous outcomes. There is a pressure that comes with making predictions. Claiming predictions and being incorrect can cause humiliation and, in some cases, a loss of life. In 1987, when a meteorologist received a phone call asking about an oncoming hurricane, he informed viewers of the BBC there was nothing to fear. Unfortunately, a few hours later a hurricane did hit, which killed nineteen people. An infamous prediction was just before the millenium, when rumours spread fast that the dawn of the digital age would soon be over as computers would be unable to cope with the date change. A virus would rapidly spread through all computers forcing a worldwide shutdown and a bleak return to the dark ages. This was not some whispered rumour; even the US Deputy Secretary of Defence John Hamre was quoted as saying that it would be the “electronic equivalent of the El Niño”. This turned out to be false. A slightly dramatic prediction, we might think in retrospect, but it caused chaos and fear amongst people across the world. Sometimes we make grand statements predicting the future to cover up fears. Such as “global warming is a hoax” or Steve Ballmer’s, the former CEO of Microsoft, prediction before the release of the first iPhone that “there’s no chance that the iPhone is going to get any significant market share”. Other predictions turn out to be just plain wrong. Shockingly, in 1955, a doctor predicted for The Charleston Gazette that ninety year old men would be commonplace and “considered young” by 1999. Fear not, for women would benefit from this extraordinary evolutionary change as well, and “thanks to proper hormone medication, would stay young, beautiful and shapely indefinitely”. Because really, what’s more important? There is the famous Paul, the octopus from Germany who, to everyone’s amazement, managed to correctly predict Germany’s match results in the 2010 World Cup. Paul predicted events by being presented with two boxes containing food which had different countries flags on them. Whichever he ate from was the foreseeable winner – and he was usually right! I certainly remember numerous times in school where we would all anxiously stare at the clock. Watching the minutes, then seconds tick away to the inevitable end of the world… which never came! The most notorious one in recent times was 21 December 2012; it was based on the Maya Long Count Calendar, which ends on the 21 December 2012. Some saw that a renewal was coming, a new age of enlightenment (the optimists amongst us), while some cried doomsday. It was so publicly spoken about that even Hollywood cashed in by making a movie. This prediction with Hollywood’s intervention lead to a series of comical events. To raise money for the film, a site was created for a fake organisation called “Institute for Human Continuity”. On this site, a ticket could be purchased that gave you the chance to win a seat on an escape rocket before the inevitable end. Hysteria surrounding 2012’s doomsday meant people did purchase these tickets, eventually forcing NASA’s hand in having to ensure this was indeed a hoax. While the prediction was wrong, it certainly held a disruptive power.